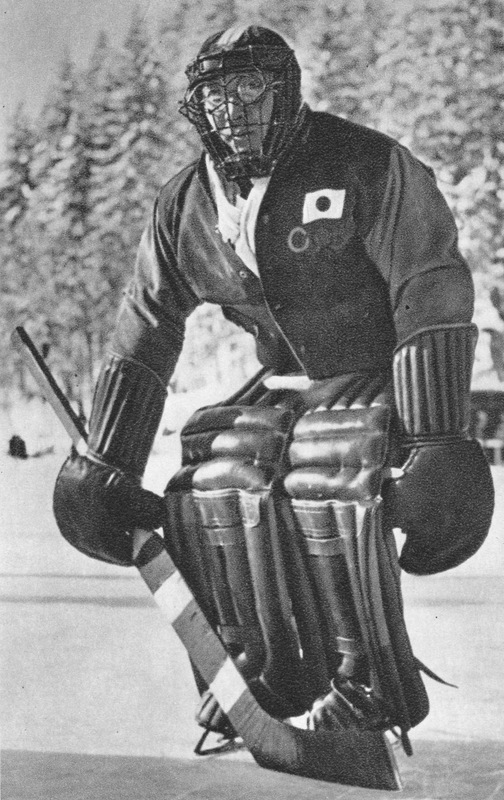 Face First: Japanese goaltender Teiji Honma at the 1936 Winter Olympics. Stopping pucks for the Japanese in 1936 was goaltender Teiji Honma, here above, who also garnered attention for his protective facemask. In those years, of course, most goalies headed into the breach bare-faced. Elizabeth Graham did wear a fencing-mask when she tended nets for Queen’s University in the mid-1920s. A decade before her, Corinne Hardmann of Montreal’s Western Ladies Hockey Club donned a baseball catcher’s cage. 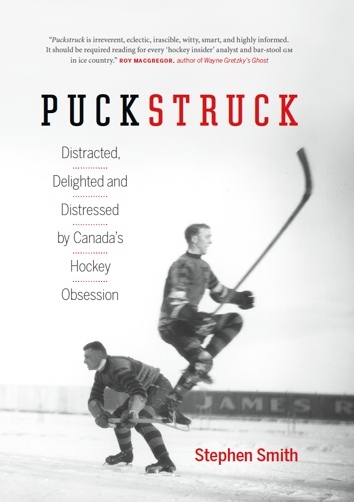 And Eric Zweig has written persuasively about an even earlier masking, in 1903, by Eddie Giroux of the Toronto’s OHA Marlboros. And at the Olympics? As far as I can determine, Frank Farrell set the precedent in 1932 when he backstopped the host team from the United States at Lake Placid. A Connecticut native, he was 23 when he got the U.S. job after proving himself playing for Yale and New York’s amateur St. Nicholas HC. Like Honma, he wore glasses and hoped, apparently, to protect them from pucks. The crude mask Farrell wore at Lake Placid is (not so clearly) visible in the U.S. team photo below. Representing Canada on the ice, the Winnipegs came highly touted, but the U.S. gave them a run for their (slightly complacent) money. In the tournament’s opening game, “there was” (said the AP) “scarcely anything to choose” between the two teams. They were tied 1-1 going into overtime. It as Canadian forward Vic Lindquist who decided it, halfway through the non-sudden-death period, with a “blistering” shot. Both Canada and the U.S. dispensed, and handily, with the other two teams in the tournament, Poland and Germany, and when two teams met again nine days later, the Canadians sat atop the standing two points ahead of the U.S. With a win, the hosts could force a playoff game that would decide the Olympic title; Canada could claim the gold with a tie. 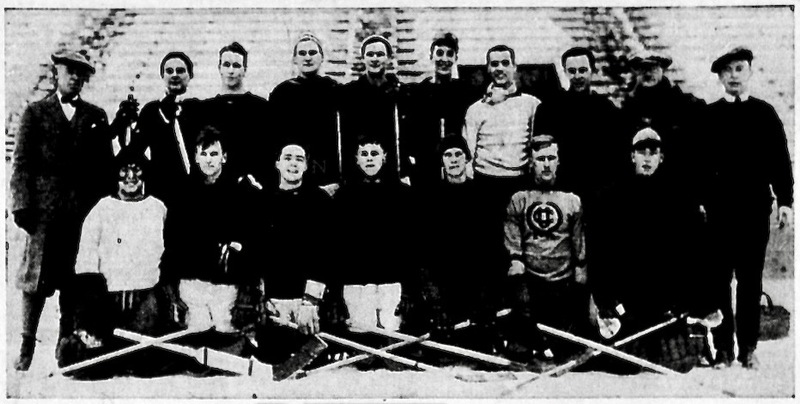 Front row, kneeling, from left to right: Frank Farrell and his mask, Jack Bent, Buzz Hollock, John Cookman, Doug Everett, Ty Anderson, and Ted Fraser. Standing: Coach Al Windsor, Ding Palmer, John Chase, Bob Livingston, Frank Nelson, John Garrison, Gordon Smith, Joe Fitzgerald, manager C.J. Gleason, and Tom Murray.